Description: This is a very common and recognizable thorny vine. It thrives in wooded and transition areas. The scientific name (rotundifolia) refers to its broad round leaves. Unlike its cousing the Green Briar, the leaves of this plant have lighter green varegation. This vine climbs by means of tendrils which reach out and wrap around objects to anchor it. The vine itself is armed with sharp thorns which sometimes have a green to light brown to dark brown gradient toward the point. 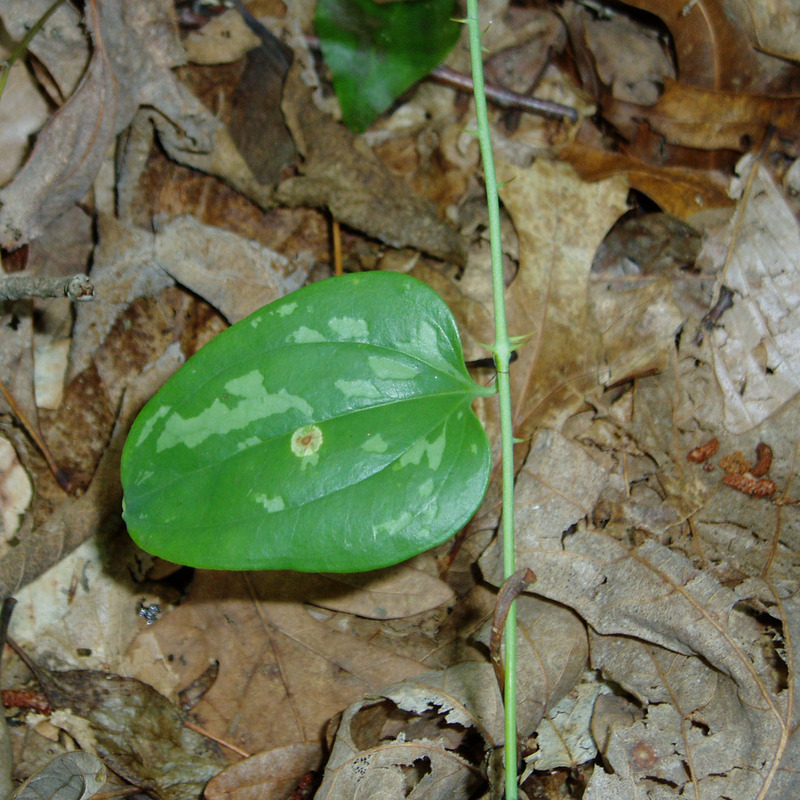 Edibility: The young shoots, leaves, and tendrils can be eaten raw or cooked. The roots can be crushed in water to make a red-powder that can be boiled into a gelatin-like material. This powder can also be used as a thickener for stews. Utilitarian Uses: Greenbriar vine makes an excellent basket material. The vines can easily be de-thorned by pushing the thorns laterally; they just snap off.